Thanks for the visit today to my blog! I think the cosmos is trying to tell me something when I come to visit you and see this post. 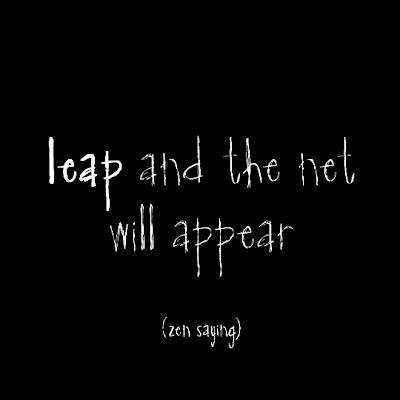 I am trying to get the courage to make that leap! Thanks! You have a wonderful site. I just started mine and look at yours everyday. great job..... I have this quote/ card pinned on my wall. I love this one!